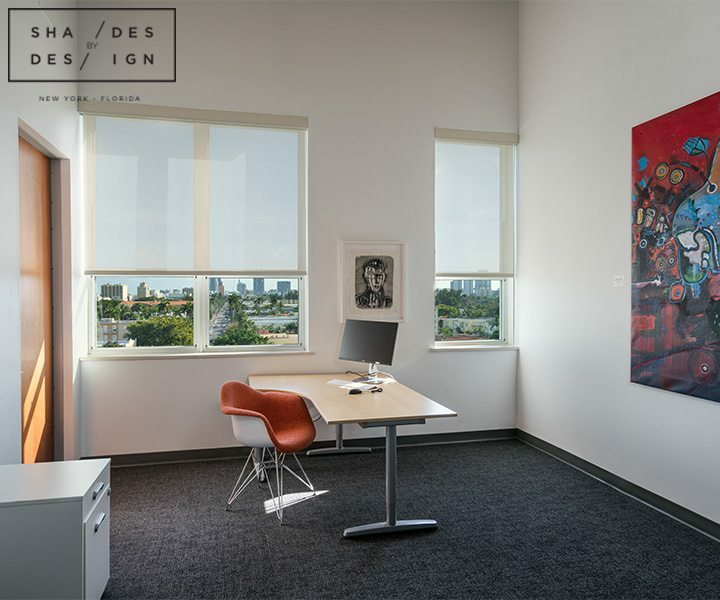 In order to have a productive work day, it’s imperative your office building is comfortable and set the right tone, this includes perfect lighting and temperature. 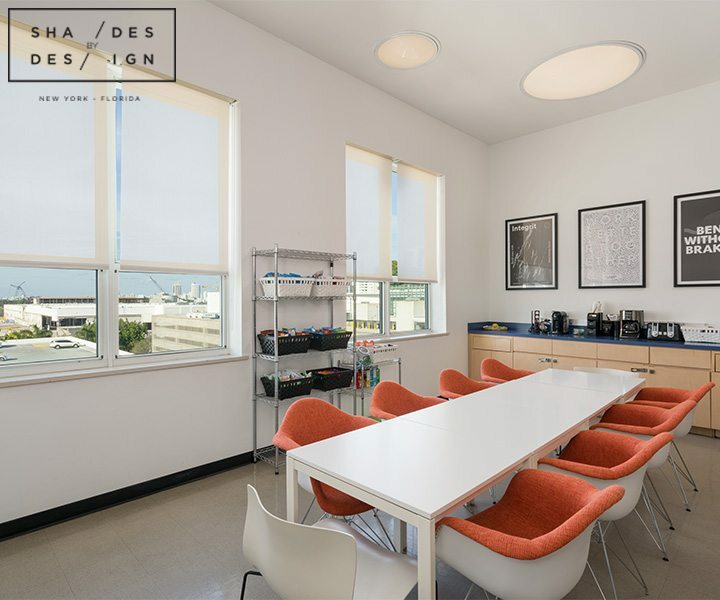 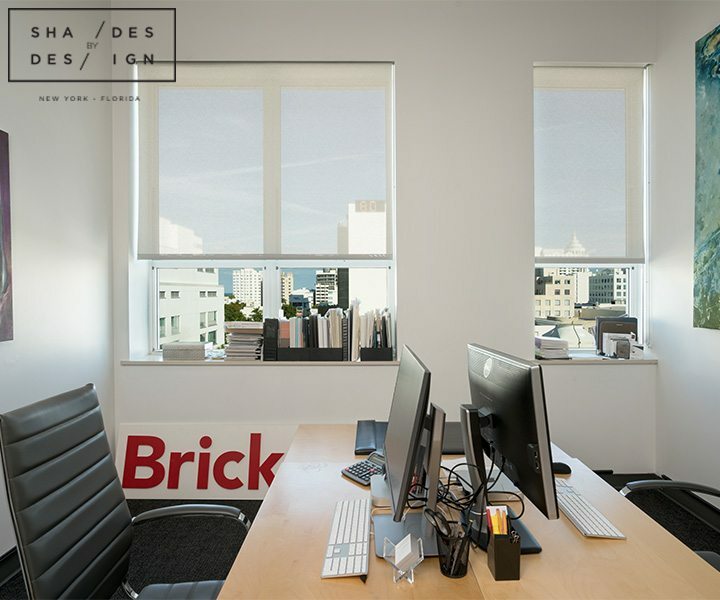 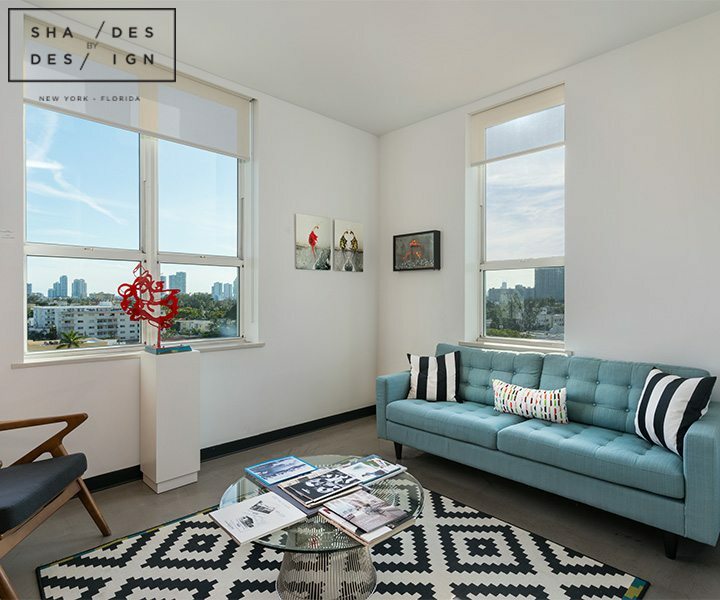 At this Miami office located on Lincoln Road, we wanted to remove those unpleasant factures like heat and glare, by installing 3% Screen Shades in a light gray tone that complemented the décor. 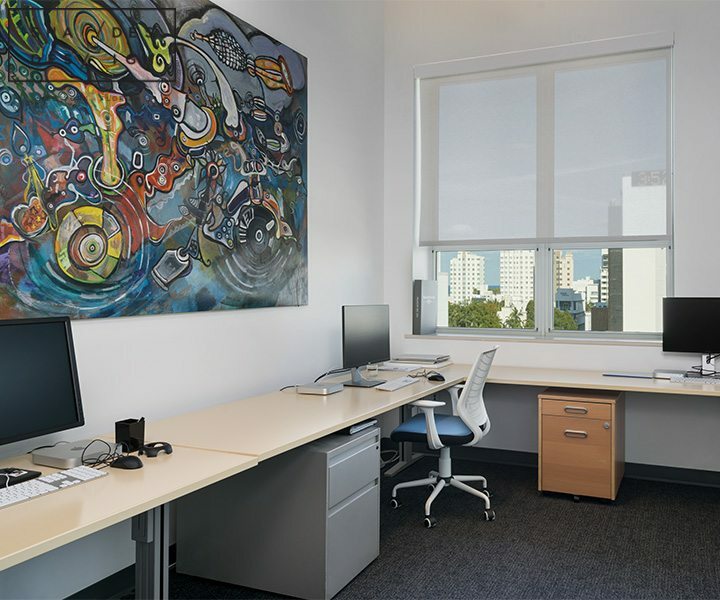 Now this innovative real estate company can continue to empower their brokers and sales agents with great work space and environment. 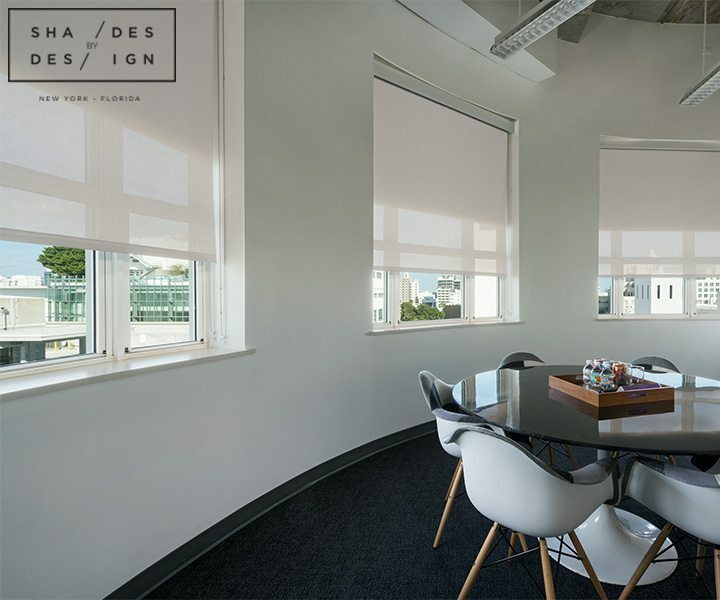 Screen shades are very popular for offices and commercial spaces due to their durability and functionality. 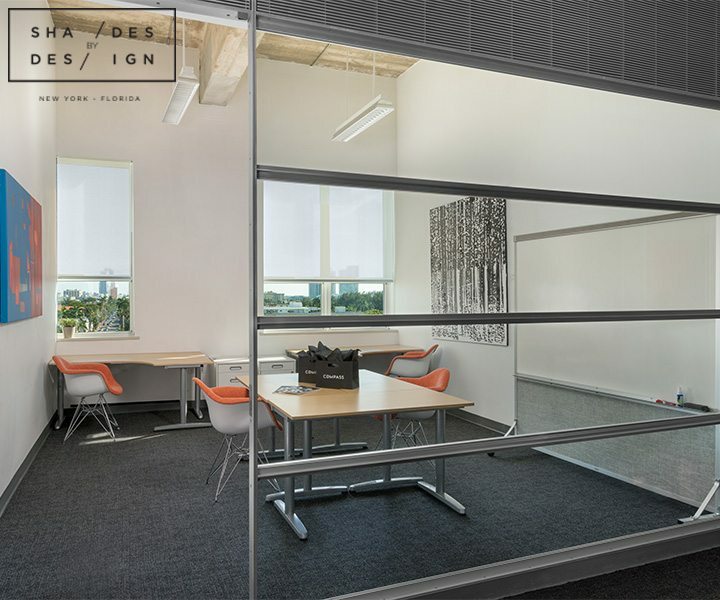 A shading system like this could be just what your space is missing and Shades By Design is just a call away!